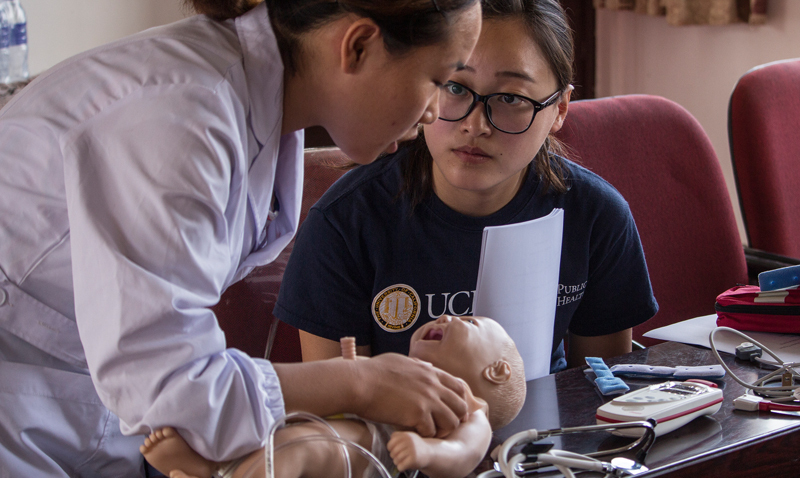 UC Irvine Public Health welcomes applications to our new research training doctorate degree, the Ph.D. in Public Health with concentrations in Global Health and Disease Prevention. Admitted students will have the opportunity to conduct research with extraordinarily gifted faculty members on the most pressing public health questions of our time. Students who complete the research training program will create new knowledge through a deep understanding of the theoretical underpinnings of public health challenges, research methods, and their application to contemporary and emerging trends in public health. Graduates of the Ph.D. program will be prepared to lead independent and collaborative research careers in academic institutions, to teach at advanced levels of instruction, and to lead research efforts at agencies dedicated to public health at all levels of organization.